Are you a front-end developer who would like to know a little more about HR? Or have you ever wondered how your colleague manages never to be late for a meeting? Thanks to Lightning Talks, you can learn interesting things from your colleagues – and in return tell them about something you are passionate about. 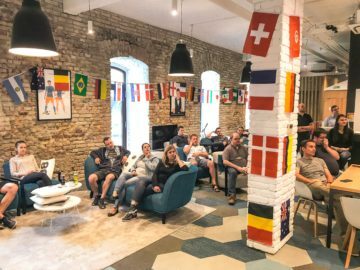 Mihaly Gyongyosi has hosted Lightning Talks in the Budapest office for approximately six months. Lighting talks is a short presentation which takes between 5-12 minutes, with or without a couple of slides. One Betssonite prepares a presentation, with a topic of their choice. The main focus is themes that are somehow connected to daily work tasks, but Mihaly says that they are open to hearing about hobbies and side projects as well. József Sipos from Techsson has been to many of the sessions and has only positive things to say about them. He likes that there are such a variety of topics presented. Usually, everyone in the Budapest office joins. It’s like a team event; nobody wants to miss out. They have had around seven sessions already. The idea behind the sessions is to learn new things and share your views on different topics. At Betsson we have a large number of people that are talented in a number of fields, and that is a fantastic resource. To avoid knowledge barriers, it is essential knowledge sharing within the company. 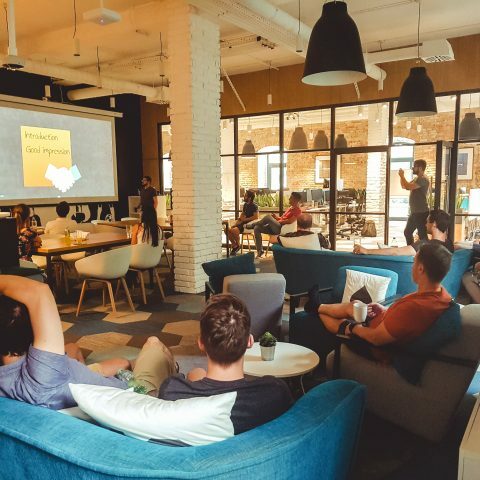 Another great benefit with the Lightning Talks is that it’s a fantastic opportunity to improve your presentation skills in a supportive environment. Mihaly has already seen that the sessions bring teams together and invite colleagues into each other’s worlds. “I believe it helps to create a great culture of continuous learning and knowledge sharing. And last but not least, we get to know each other better”, Mihaly says. The sessions can be seen as a catalyst to create innovative discussions and enable teams to develop together.Maybe you’ll be exposed to a new perspective that helps you with your own projects. József, amongst many others, are eager to host a Lightning Talk of his own, but he has a big problem to solve first.